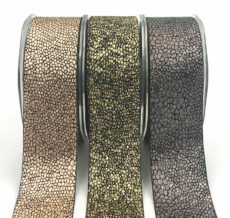 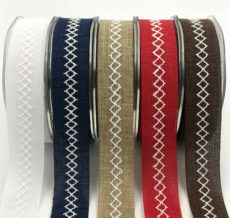 May Arts carries a wide range of ribbon for the craft & hobby industry. 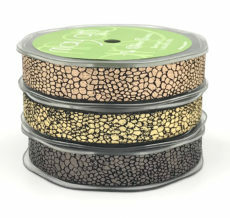 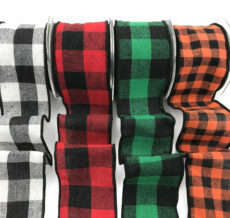 We have sheer, grosgrain, velvet, polka dots & more. 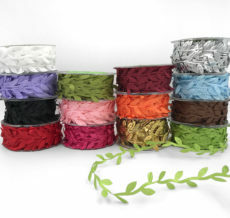 Try our jumbo ric rac or our popular garland leaves for your next project! 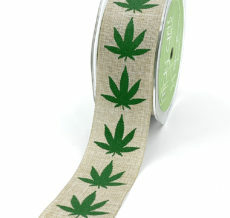 Need a ribbon for Christmas, Halloween or even a baby shower? 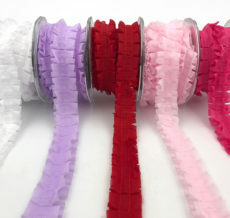 Check out our satin cut out ribbon!